Midwest Wheelcover and R & R Tire - 3" DIA. Home > Size > 3" DIA. 3466b, CENTER CAP USED, 02-04, FORD, F-150, BLACK, BLUE OVAL, PLASTIC CLIPS AND WIRE Ring. 3" DIA. Price: ORDER UNDER 3659, CENTER CAP. 3786/3659, CENTER CAP USED, 09-11, 20", FORD, F150, CHROME PLASTIC CAP, BLUE FORD OVAL, 8 PLASTIC CLIPS, WIRE RING, 3" DIA. ORDER UNDER 3659, CENTER CAP. 5007a, CENTER CAP USED , 91-92, CHEVY, CORVETTE, MACHINED GRAY PLASTIC WITH RED & BLACK & WHITE CHECKERED, PLASTIC CLIPS, 3" DIA, FOR USED RIM, BRUSHED ALUM, 8 CUT OUTS, A=MACHINED B= POLISHED. 5007b, CENTER CAP USED , 91-92, CHEVY, CORVETTE, POLISHED, GRAY PLASTIC WITH RED & BLACK & WHITE CHECKERED, PLASTIC CLIPS, 3" DIA, FOR USED RIM, POLISHED. ALUM, 8 CUT OUTS, ALSO FITS 5023 RIM A=MACHINED B= POLISHED. 5018a, CENTER CAP USED, 15", 89-94, CHEVY, S-10, BLAZER, PLASTIC CHROME, BLACK CENTER, GOLD OUTLINED CHEVY BOWTIE, PLASTIC CLIPS. 1-1/2 DEEP, 3" DIA. 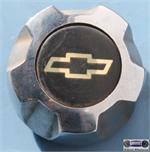 5018b, CENTER CAP USED, 89-94, CHEVY, S-10, BLAZER, PLASTIC CHROME, BLACK CENTER, RED OUTLINED CHEVY BOWTIE, 1-1/2" H X 3" DIA. Price: ORDER UNDER 5018 A CENTER CAP. 5033a/5018 a, CENTER CAP USED, 95-00, CHEV, S-10, CHROME WITH 5 SPOKE, BLACK CENTER WITH OUTLINED GOLD LOGO, PLASTIC CLIPS, 1-1/2" DEEP & 3" DIA. FOR A 15", RIM ORDER UNDER 5018 a CENTER CAP. B=ISUZU. 5035, CENTER CAP USED, 94-96, CHEVY CORVETTE, ZR1, DARK GRAY PLASTIC, RAISED LOGO, GOLD BOWTIE, RED & BLACK & WHITE CHECKERED, PLASTIC CLIPS, 3" DIA. 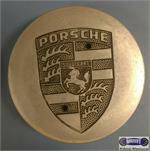 67230, CENTER CAP USED 96-98, PORSCHE, 911, SILVER, FULL COLOR LOGO, PLASTIC CLIPS, 3" DIA. 69135/69271a-b, CENTER CAP USED, 74-81, TOYOTA, COROLLA, CELICA, CHROME RIBBED, RAISED LOGO, PUSH ON TYPE. 2-1/4 X 3" DIA. 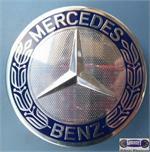 69271a, CENTER CAP USED, 77-90, TOYOTA, CELICA, VAN WAGON, CHROME RIBBED, RAISED CHROME LOGO. PUSH ON, 2-1/4 X 3" DIA. 69271b, CENTER CAP USED, 77-90, TOYOTA, CELICA, VAN, WAGON, CHROME RIBBED, RED CENTER & RAISED CHROME LOGO, PUSH ON, 2-1/4 X 3" DIA. 69800, CENTER CAP USED, '04-'09, VOLKSWAGON, TOUAREG, BLACK PLASTIC CAP, CHROME LOGO, PLASTIC CLIPS, 3" DIA.